This shows the Lamp Brackets, Macfarlane pattern number 39 and the Lamps which are pattern number 229 (if they are original)? On the question of being original there is a problem, the lamps were designed in the first place to accommodate gas lamps and then later on were changed over to use electricity. 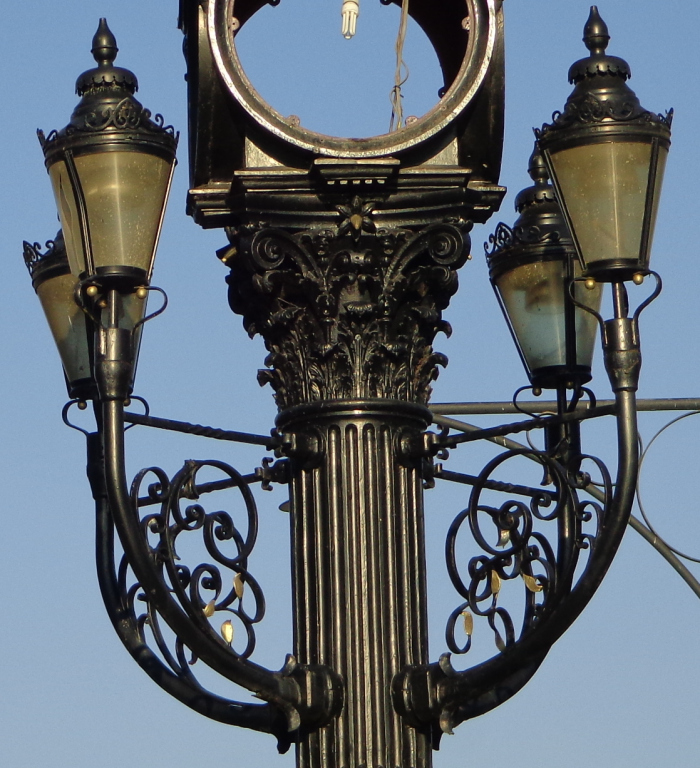 Looking at some old photos of the clock you can see that the lamps have been changed. At the moment I’m still researching this and will update the information when I know more. As you can see the clock mechanism is missing, it was taken away for repairs in January 2017.